Welcome aboard and nice to meet you. My wife and I are seasoned cruisers having first dipped our toes into the world of cruising in 1990: a one week cruise on board the Cunard Countess followed by a one week at the Couples Resort, St Lucia. Though the majority of our cruising has been with two cruise lines, Cunard and P&O, we have sailed with 12 other cruise lines on a total of 30 different ships: completing over 1000 days at sea. We have crossed every Ocean and visited every continent: navigated around both Capes and passed through both major canals; and have in addition to sailed along both the Yangtse, Mekong, Amazon and Irrawaddy rivers. Cruising is certainly in our blood though we also enjoy many shore side holidays and vacations, particularly in and around the Far East. Often the scourge of internet trolls, and considered the ‘enfant terrible’ by a certain cruise forums, Solent Richard speaks his mind, happily calls a spade a spade, pulls no punches and tells it as it is without fear or favour. He is also a member and contributor to the more popular Facebook cruising groups. The blog recently passed the milestone of a Quarter of a Million hits and currently with 495 registered followers of this blog SR must be doing something right. 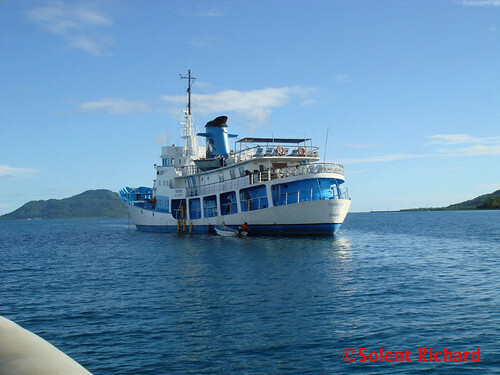 I am also an avid Scuba Diver, a qualified wreck and Nitrox specialist, and have dived as far afield as Micronesia, Egypt, Thailand and the Caribbean. Hi Richard, we are booked on a Viking Danube river cruise, I would be interested to hear of your experience of the flight interchanges we have been told we do not touch baggage until arrival in Budapest. Did all run smoothly with your river cruise in that respect? Thanks, but sorry to labour the point, but does that mean you did not have to collect your luggage at the mid part of journey in Amsterdam and re-check them into the 2nd leg of flights to Budapest? Hi Maggie. Our flight was British Airways direct to Budapest so never had that problem. I would say, however, that when we have had similar situations our luggage has been transferred between aircraft automatically. The only exception being the USA. Hi SR, I do like your site…I look forward to future updates. Cannot see the pictures on your blog – any ideas? I have logged in additionally on my ipad and laptop and can see the pictures on the threads viewed (6). It would appear that the problem is your end. Sorry about that. Do let me know if it continues. Regards. Excellent and informative site, excellent work. I am particularly impressed with your photographs (both here and cruise.dot), I only wish I could take photographs to your standard. Keep up the good work, us newbies need all the help and advice we can get. Hello Richard, I have thoroughly enjoyed reading through your blog, entertaining and informative. As usual the photos are very impressive, if it is not giving away trade secrets what lens do you have on your camera for the indoor shots that are always A1. Hi Richard. Thanks for your comprehensive and interesting blog on the Azamara Quest. We are sailing on her for the first time next week and can’t wait. Will be writing a review on our return.Annieb. Thank you for the kind comment Annie. Bon Voyage and I wish you a superb cruise. I shall look forward to your review. Hi Richard, used your one way to do Istanbul recently and everything just fell into place. So, thank you very much. Very pleased and thank you for taking the trouble to comment. Hi Richard, Your blog just gets better and better. Great information accompanied by professional class photographs. Thank you. Comments like yours make it all worthwhile. I agree the blog is wonderful, but can I have my husband back please?! LOL. But I have some unfinished business to attend to. FLU. Just voted for your blog on the cruise awards site! Your doing a great job, keep it up. I found your site through “LCT”. I remember reading about your experiences with the “Queens”. My son, who lives in New York, and I will be joining QM2 in August and any ‘helpful hints’ to enrich our cruise would be appreciated. My main concerns are ‘dress code’ and ‘what to do for seven sea days”. I’ve only ever cruised with Regent which has now gone ‘smart casual’ for most of the time. I do not own a ball gown, nor do I intend buying one, so am presuming black slacks with nice tops will suffice for both formal and informal. My son in only taking a dark suit. I saw the old Queen Victoria (??) get escorted out of New York by QM2 for its final journey – hat was quite exciting. QM2 left its berth and cruised to meet the other ship and then followed it out to sea. I couldn’t get over how much larger QM2 was. Good morning Lee. Thank you for your comment. You should have no concerns as to how you will be occupied during a 7 day crossing. The activities, lectures and entertainment will fully occupy your day. I often find I have to make hard decisions on what to miss when certain events clash. As regards dress, you will be fine. There is no ultimate requirement to wear a ‘ball gown’. Take a look at the three ladies with me on the page ‘Solo Trans-Atlantic Blog Day 6’, two have cocktail dresses but slacks and a smart top will be fine. Your son will be just fine in a dark suit. I’d say around 15% of men wear similar. On the other side of the coin though this voyage is something special and it is always worth making the effort and going the extra mile. Hope that helps. Secondly, we dock in zeebrugge and we have visited Bruges before so we would like to see Ghent. Do you have an idiots guide to visit Ghent? Thanks in advance and keep up the blogging!!! 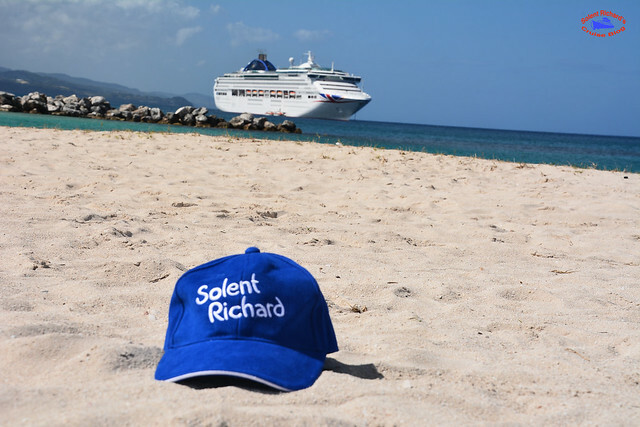 I would like to personally congratulate you as your Solent Richard’s Cruise Blog has been selected by our panelist as one of the Top 50 Cruise Blogs on the web. I personally give you a high-five and want to thank you for your contribution to this world. This is the most comprehensive list of Top 50 Cruise Blogs on the internet and I’m honored to have you as part of this! Please add this website also http://cruisetrend.com/forums/ below forum page. Cheers. I’ve just stumbled upon your cruise blogs and marvel at the attention to details and descriptive narrative of your adventures. Reading your cruise blogs is like sharing an experience with an old friend. Well done, I look forward to joining you on your adventures. Do you happen to know if the Viking Douro cruise that you sailed on in 2014 follows the same itinerary in the 2017/2018 sailings ? My wife and I along with some friends are scheduled to sail in April 2018 and I would love to share your detailed itinerary with them but am hesitant to if our schedule will be different. Thanks for your good works !!! I’ve checked out the 2018 Viking brochure and the Douro cruise itinerary is identical to the one in my blog with one exception, there doesn’t appear to be a stop at Bititos. This was the stop we made to go to the evening dinner at the monastery. Frankly I’d pass it on to your friend to see with the caveat that, as with all cruises, the itinerary is subject to change. Hi! I know your from the CC. Cunard Board! I see that you also have traveled on Hapag Lloyd. It is not so easy to find information on them, as an English speaker. I am going back and forth between their Hanseatic, which is more bang for the buck, verses Silversea. I am drawn to the fact that I feel like there is more experience at the helm on HL.. I have just read your Blog on Myanmar! It was totally fabulous! We ar going in November so can’t wait! Sounds amazing place to visit! Thank you for so much information! 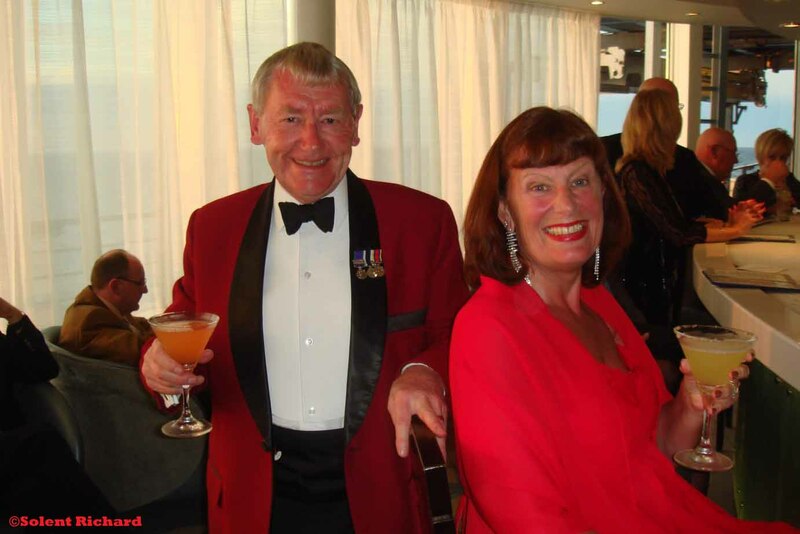 I am going in my first cruise in May – P & O Britannia to Spain and Italy. Any tips for a first timer? You are certainly well travelled! Remembering Daedalus days!